Dry eyes - feeling gritty and sore, itching, or burning - can be related to problems with your thyroid gland. Sometimes they may be the first sign of thyroid disease. There are two main thyroid disorders. One is Graves' disease, where your thyroid makes too many hormones (hyperthyroidism). The other is Hashimoto's thyroiditis, which causes low levels of hormones (hypothyroidism). Both happen when your immune system makes a mistake and attacks your thyroid gland instead of fighting infections. Because certain proteins in your eyes are similar to thyroid tissue, your immune system may attack them, too. Eye problems are more common for people with Graves' disease, but some people with Hashimoto's may also get them. Thyroid disorders often run in families. If you have dry eyes and a family member with Graves' or Hashimoto's disease, you may want to get checked, too. Treating thyroid disorders will help prevent eye damage and other health problems. Your eyes need moisture. It helps them work the way they're supposed to and keeps them feeling healthy. Thyroid eye disease steals that moisture. Your eyes don't close completely. Graves' disease can affect the muscles around your eyes. Your upper lid may pull up while your lower lid pulls down. Or stuff may build up around your eye, pushing it out from its socket. These will make it hard to close your eyes tight, so moisture evaporates too fast. Not enough tears. 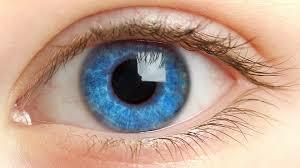 Each time you blink, tears spread across the surface of your eyes, keeping them clear and moist. With a thyroid eye disease, you may not make enough tears. Or the tears you make may not work as well as they should. Not enough oil. Tears are a mix of water, oil, and mucus. The oil is made by glands in your eyelids and helps hold water on the surface of your eyes. Without enough oil, your tears evaporate too fast. Unfortunately, treating your thyroid won't cure dry eyes. Even though they have the same cause, they're separate problems. Many people get relief using artificial tears during the day and eye ointments at night. But eye drops that help prevent redness can make dryness worse. If your eyelids don't close tight, wearing an eye mask while you sleep can help hold the moisture on your eyes. Avoid sitting next to air conditioners and heaters. Eat more fish, or ask your doctor about taking fish oil pills. Omega-3 fatty acids in salmon, tuna, and sardines help block inflammation and may make your eyes feel better. Greetings to you too. Yes little changes like taking frequent screen breaks do help with dry eyes. Thanks for commenting. What about if you have dry mouth, dry eyes and lightheadedness altogether?